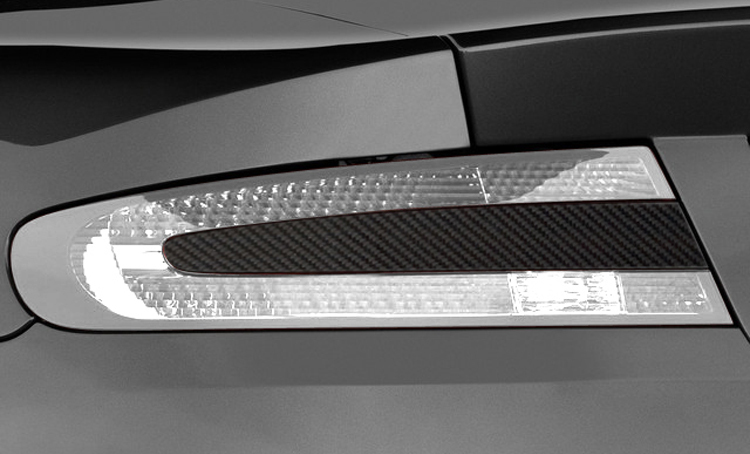 The carbon fiber rear lamp inserts have been developed to give the rear of your car the Aston Martin DBS Ultimate Edition look. The inserts are direct replacements to the current body color inserts on the car, and come with UHB 3M tape on the reverse side of them for simple installation. The lamp inserts are also available in bright chrome.